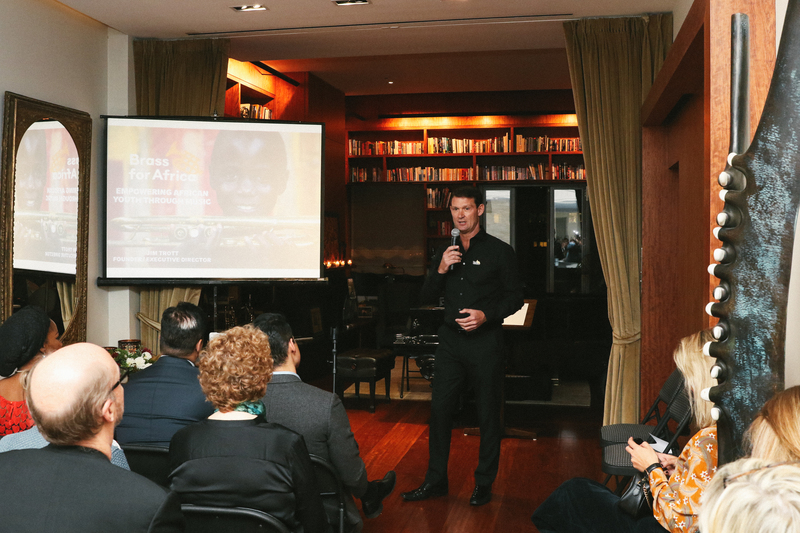 Last week Brass for Africa held a very special event to introduce the charity and its work to an invited audience in New York City. 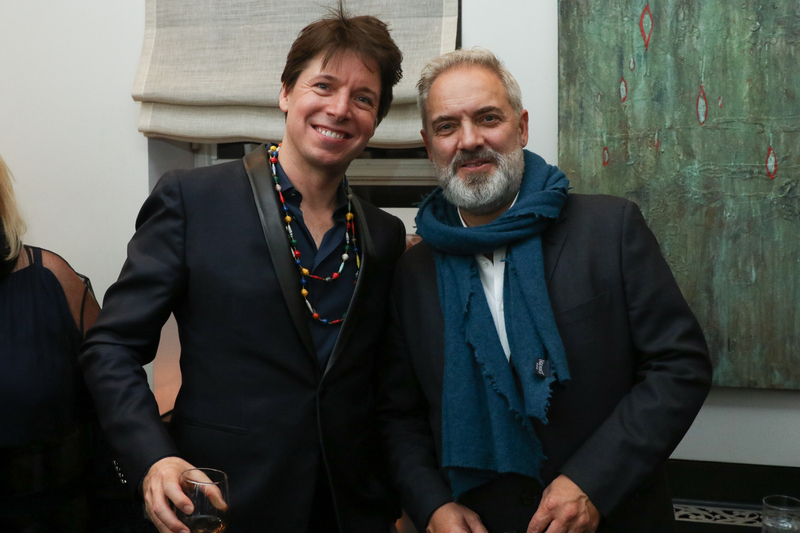 Generously hosted by celebrated violinist Joshua Bell and soprano Larisa Martinez in their Manhattan home, the evening was a celebration of the incredible power of music to transform and reform lives across the world. 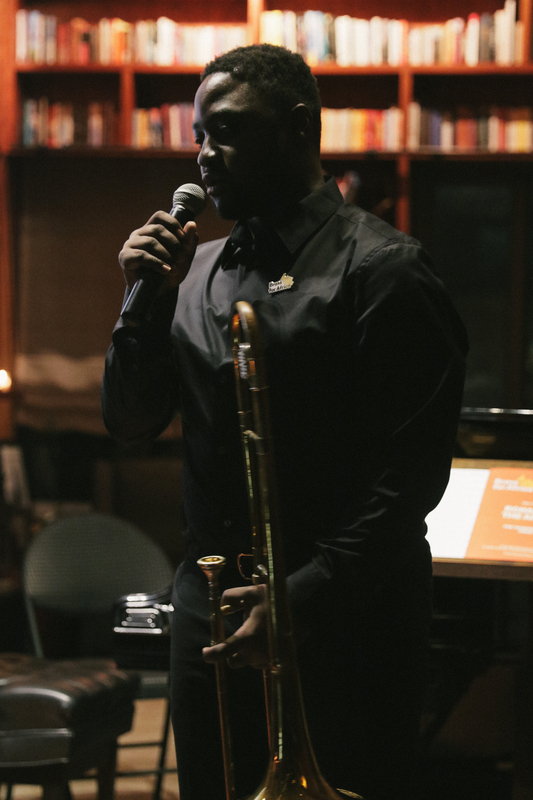 The evening included beautiful performances by Joshua and Larisa and a fabulous solo performance by Brass for Africa’s very own Ronald Kabuye from Uganda, playing a specially composed piece by Alan Fernie called “Ronald in the Apple”. There was also a Uganda style jam session of “Mandela” led by Ronald with members of the Brass for Africa team and guest drummer, Snarky Puppy’s Marcelo Woloski! 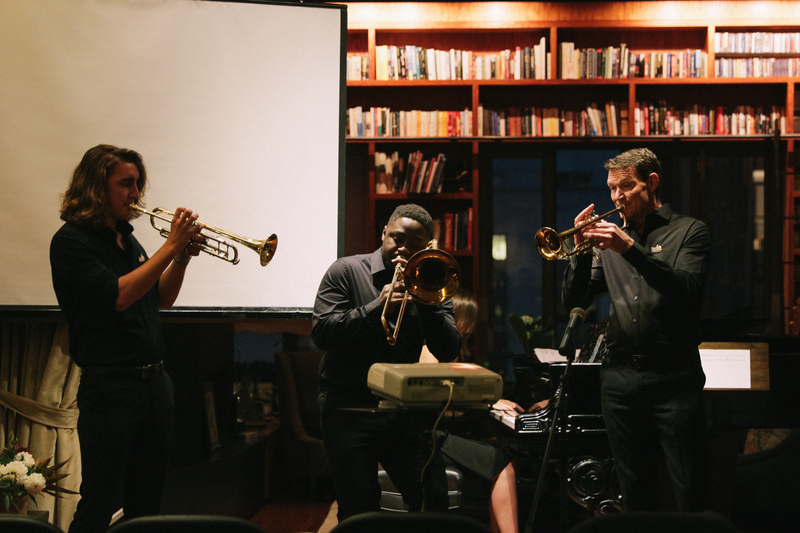 There were speeches from Brass for Africa’s Founder/Director Jim Trott, Assistant Director of Music Ronald Kabuye and Project Manager Andrea Berbegal. 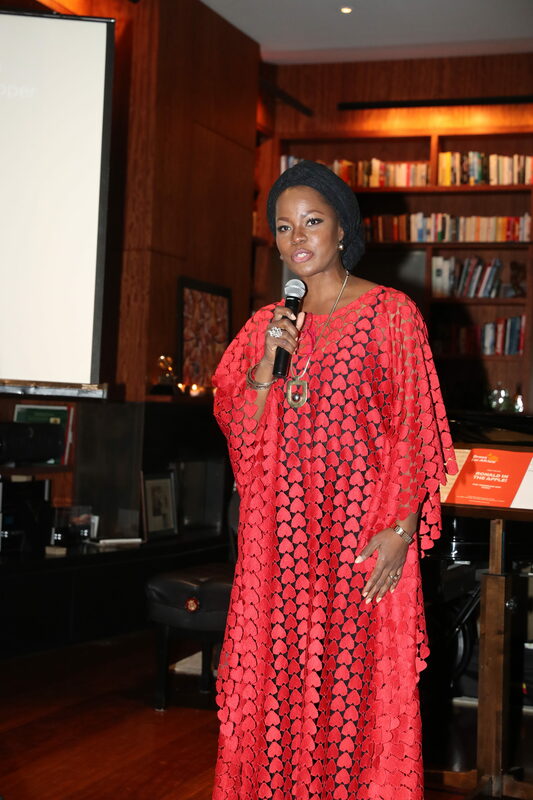 MacDella Cooper, founder of the MacDella Cooper Foundation with whom Brass for Africa partners in Liberia, gave an impassioned speech about the empowering effect the music programmes are having on the children within her organisation. 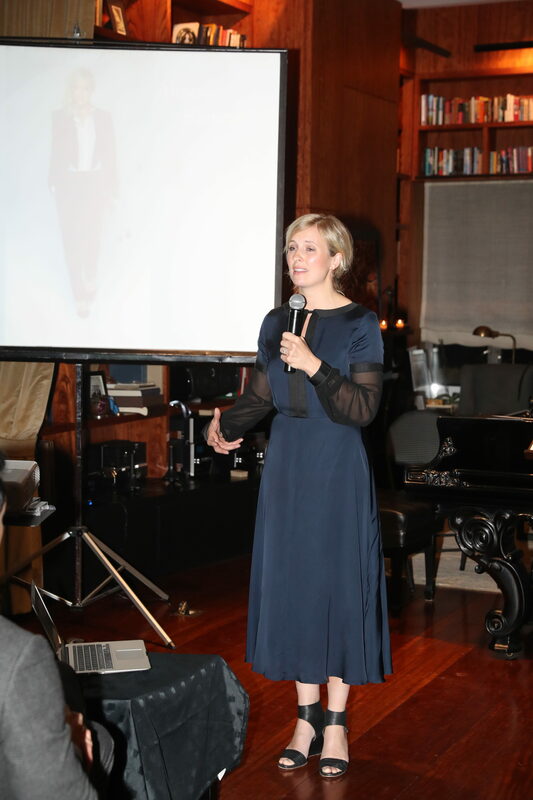 Brass for Africa Patron Alison Balsom and her husband, film and theatre director, Sam Mendes also spoke engagingly about the impact Brass for Africa is making, and why they have felt compelled to support both the work and the people involved in the organisation. 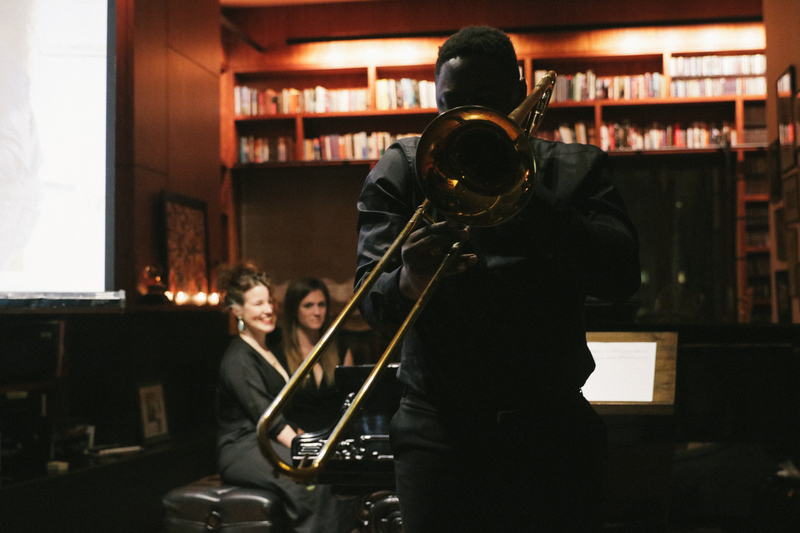 “I have seen first hand the direct results and impact of the Brass for Africa music programmes and that is why I am delighted to be here at this wonderful event as we begin to engage new partners and supporters here in America” said Alison. Joshua Bell closed the speeches thanking all for attending and encouraging support before he and Larisa wowed the audience with a joint performance for the evening’s grand finale. 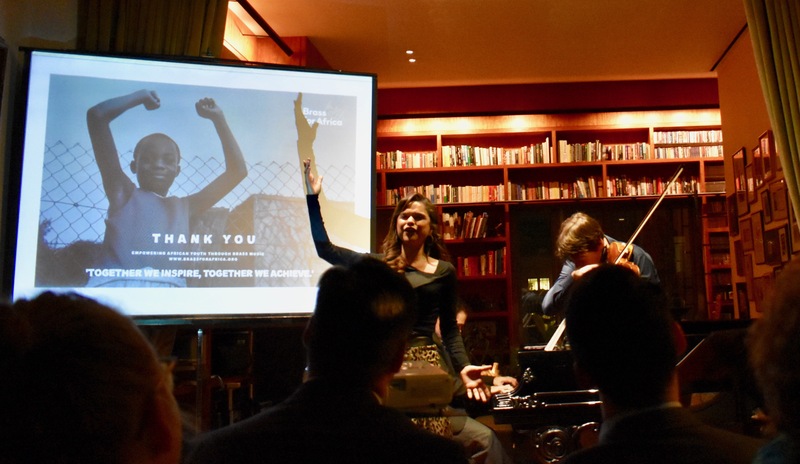 “It was a truly inspirational evening giving us a platform to invite new people to join us on this journey to transform lives through music. 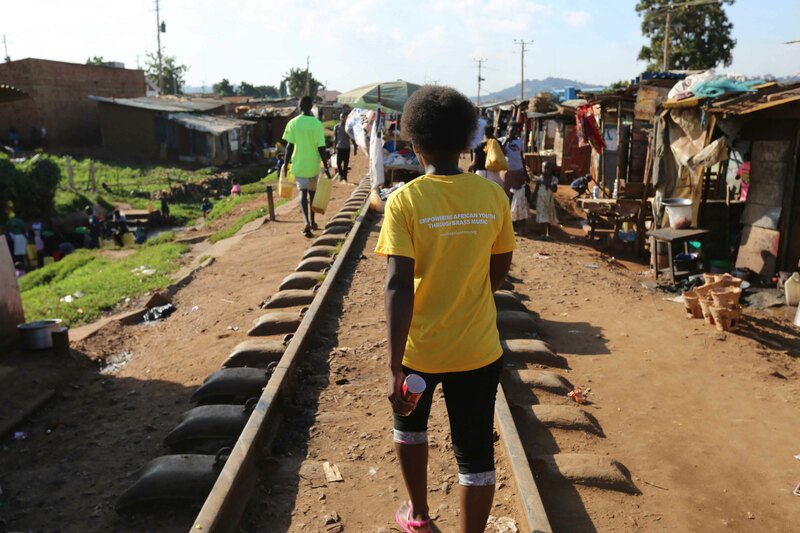 On behalf of all at Brass for Africa I would like to extend our most sincere gratitude to Joshua, Larisa and all of our guest speakers and performers, and to all who supplied us with such amazing auction prizes. A very big thank you to Krug Champagne who provided all of our guests with refreshments throughout the evening.